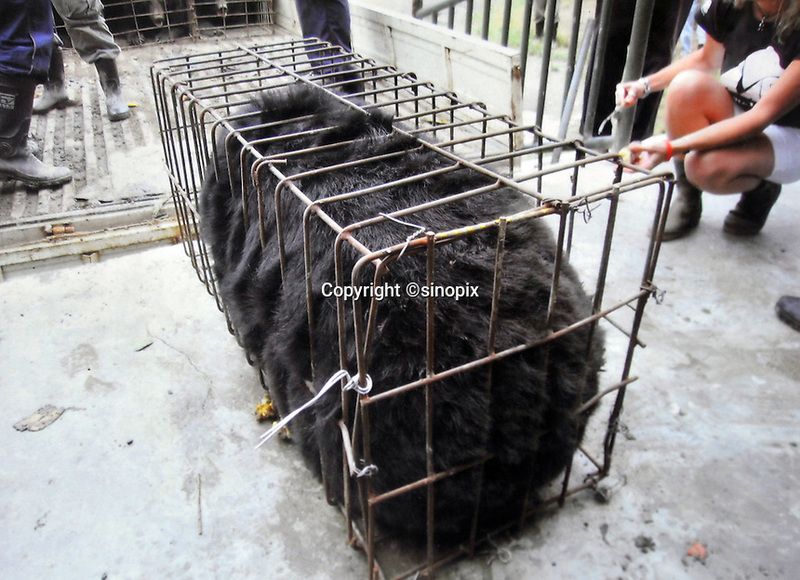 Snoopy when she arrived from the bear bile farm in a body sized "crush" cage in 2003. Snoopy a female blind panda, recued six years ago from a bear bile farm to the China Bear Sanctury run by Animals Asia, today undergoes a medical precedure to restore eye-sight by removing the cateracts. It is the first time that the procedure has been carried-out on bears. British opthalmasist Claudia Hartley of animal health Trust is carrying out the procedure with Australian David Donaldson also of AHT.